A few months after D73-71-85 by Cerebral Cuts, half Bergamo, IT – half Berlin based drum and bass outcome Delta9 Recordings’ brand new subdivision called DLT9 is back with its second outing. The follow-up in the field of exploration of more introspective, deeper, darker vibes has been recorded by Dennis Leick aka dreadmaul, a young producer and dj hailing from Mainz, Germany. 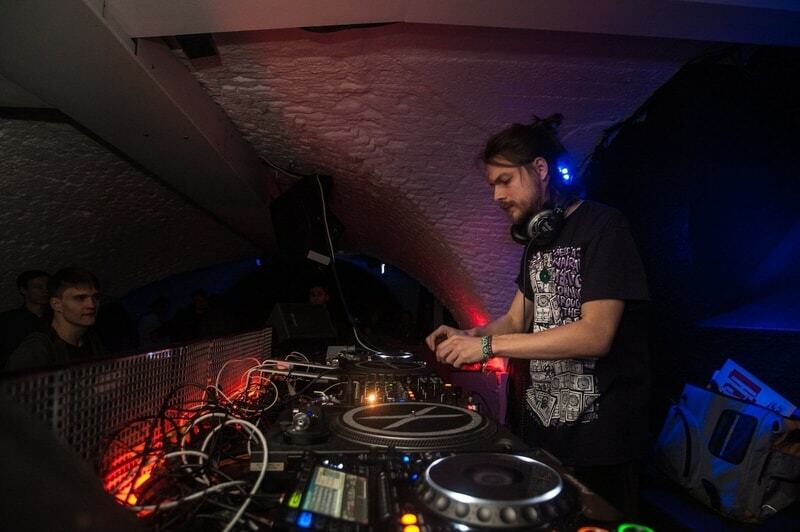 Actively performing in the country since early 2010, dreadmaul marked his debut release on Roll the Drums Records in 2013, putting out records on a regular basis on Boundless Beatz, Soul Rec., T3K, Onset Audio, Vykhod Sily, Danger Chamber Digital, Break the Surface and so on. Called The Crow EP, the six-tracked record largely inspired by non-dnb genres such as trip-hop, dark-ambient, and bass music can be streamed via the Soundcloud player right above. As we already had the chance to talk about, DLT9 expands the Italian Delta9 outcome’s horizons opening up to several external, non-club music styles and artists. Of course, the main inspiration is drawn from modern heroes of the deepest 170bpm drum and bass scene who are receiving more and more attention from the club community worldwide (many of them may already sound obvious to you: Ruffhouse, Clarity, Homemade Weapons, Paradox). Their effort to bring on the dancefloor intimate experiences as well as meditative flows of bass riffs and killer reverb is clearly to give a long-lasting mark. Going into The Crow EP in details, what comes to immediate attention to the listener is a clear reference to the most dub-infused, weed-powered trip-hop and late 90s slow tempo records, whose average 80 to 90 bpm speed perfectly fits into the 170 frame common to the deep drum and bass scene (just double the tempo!). The closing track, namely Mystical, is the strongest example in this sense, so much it might as well be considered as a futuristic Tricky production, only without vocals, and with extra bass layers. Dub influence can be strongly heard also on the amazing Incense, a tune that almost smells of spices as its title would suggest. Spiderwebs and Zand, on the contrary, stick more to the deep dnb canon, featuring typical heavy bass and syncopated drums. The record is completed by the two remaining tracks The Crow and Scarlett, defining a quite remarkable variety of styles and moods within the release and effectively making it a very interesting piece to add to your collection: this time is up to tribal percussions, tense, excited dancing and ancient voices calling to the Motherland. The digital release will be available on June the 8th, you can get more info at this link. Support dreadmaul on Soundcloud here. Also, follow Delta9 Recordings on Facebook, Soundcloud, Bandcamp and on its website.